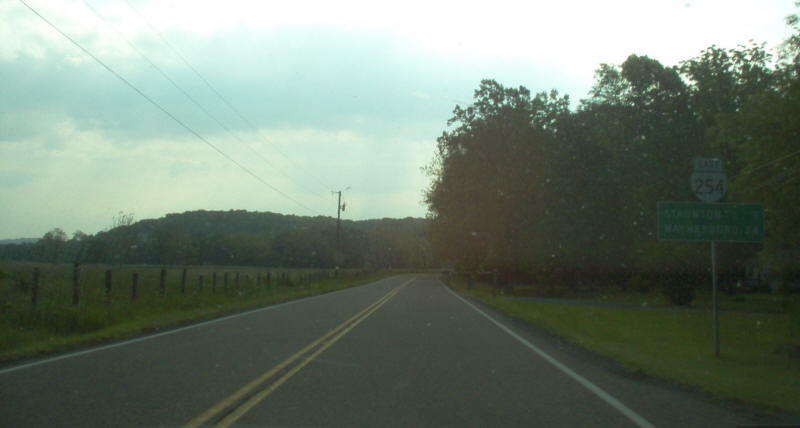 A bad sun angle beginning down VA 254. Photo by Mapmikey, taken May 27, 2006. 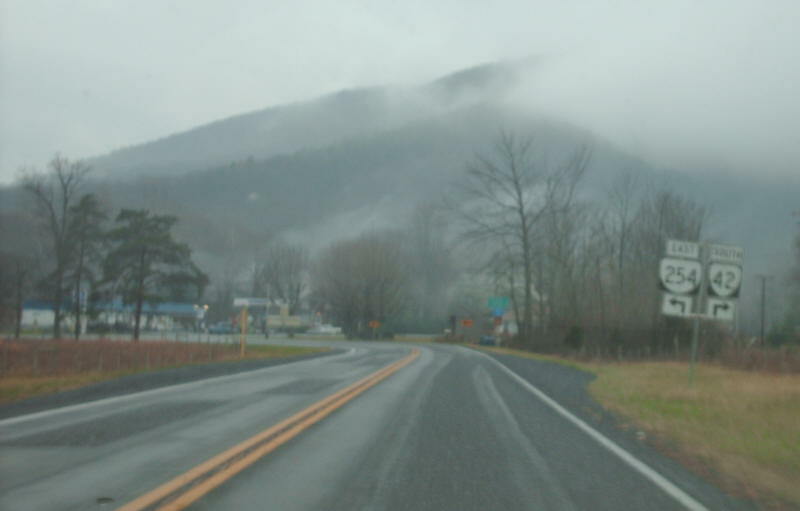 Approaching VA 254 along VA 42 south on a foggy morning. Photo by Mapmikey, taken December 8, 2007. 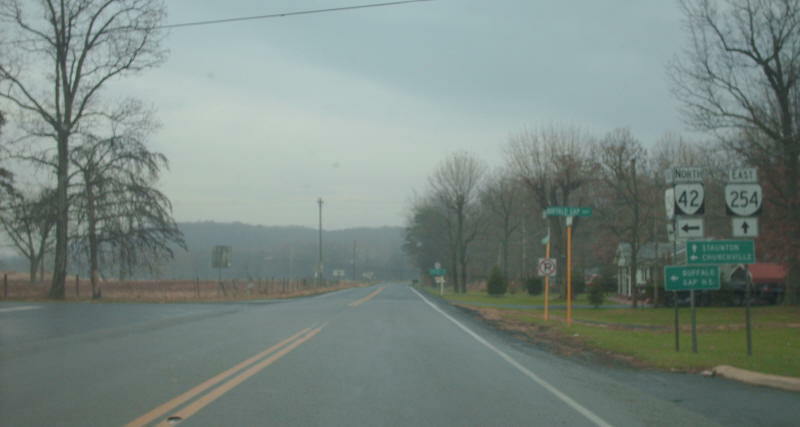 From VA 42 southbound which turns right. 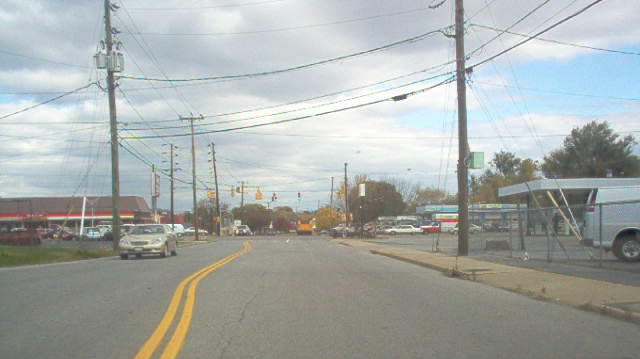 VA 254 is to the left. Photo by Mapmikey, taken May 27, 2006. 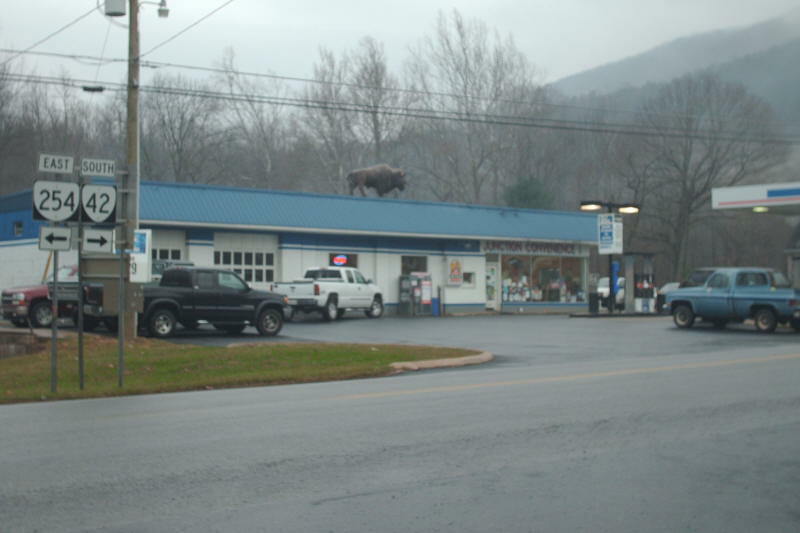 Posting of VA 254 fron VA 42 north with a buffalo on the roof in the background, since this is BUffalo Gap, VA. Photo by Mapmikey, taken December 8, 2007. From VA 254's view at VA 42. Photo by Mapmikey, taken May 27, 2006. VA 254 from VA 42 north on a foggy morning. Photo by Mapmikey, taken December 8, 2007. From US 340 southbound. Photo by Mapmikey, taken November 10, 2005. 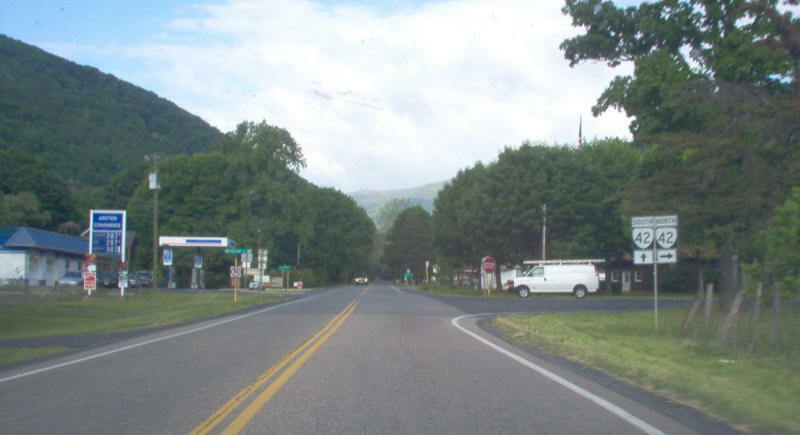 Along VA 254's beginning heading west. 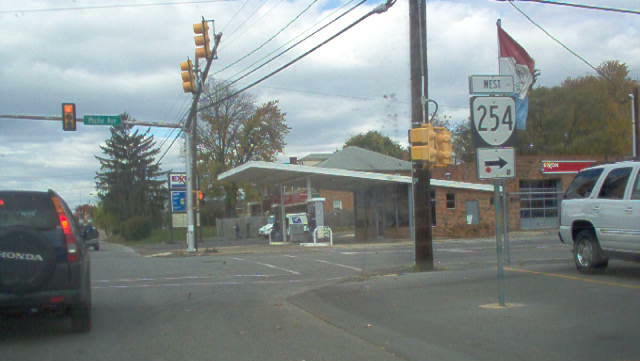 The stoplight ahead is US 250, not posted from this direction on VA 254. Photo by Mapmikey, taken November 10, 2005. From VA 254's view at US 340. Photo by Mapmikey, taken January 26, 2006. From US 340 northbound's viewpoint. Photo by Mapmikey, taken January 26, 2006.